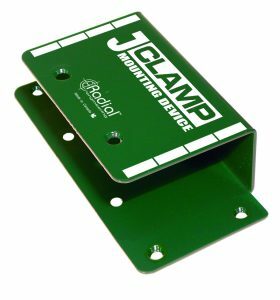 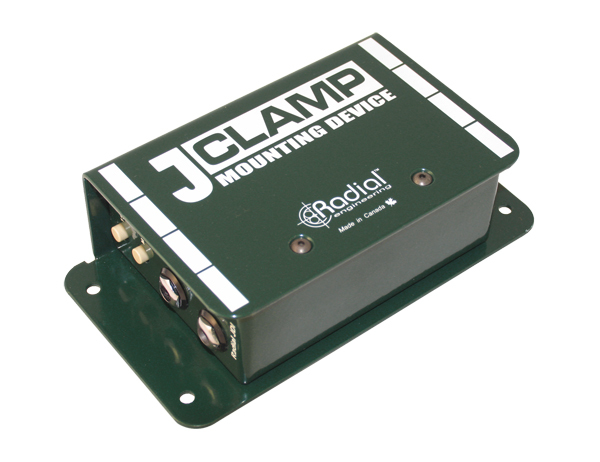 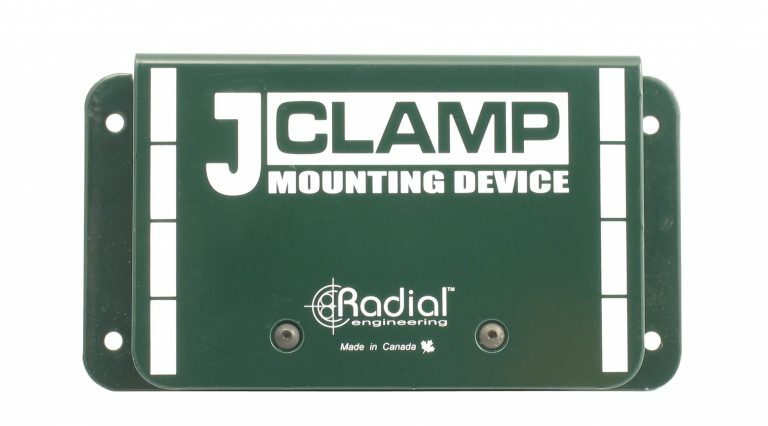 Most regular size J-Class enclosures such as the Radial JDI and J48 along with the smaller ProDI and SGI enclosures may be permanently affixed to a desk top, podium or inside a rack should the need arise using either the J-Clamp™ or Pro-Clamp™. 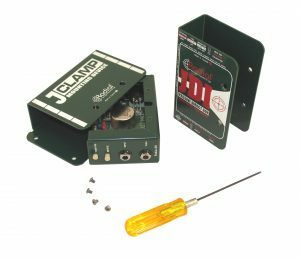 Installation is easy, you merely remove the book-end outer shell and slide the inner frame into the Clamp and affix using the same hex screws. Handy flanges on each side are then used to bolt down the device for security. 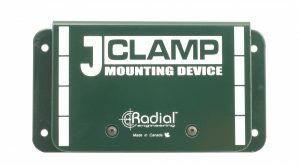 The J-Clamp is used to secure the JDI, J48, Twin-Iso and most other full-sized Radial products. You merely remove the four outer screws from the DI box, and slide the inner frame into the J-Clamp.